This is not exactly a Pune event, but given the number of people with entrepreneurial instincts in Pune, this should have wide appeal here. There are a number of interesting awards, including guidance and market development support from Microsoft (to one finalist), a course at ISB (to one person from each finalist team), and being featured in Business Today. Open only to those who have already incorporated a company. (! )Yureekah is a Pune+New York based company which is aiming to become the Google of online advertising information. They feel that information about ad campaigns, competitive analysis, lead generation, which used to be the domain of highly-paid experts, should be accessible to anybody at the click of the mouse. Today millions of ads run on millions of portals hourly. Imagine a world where you could identify where all your competitors are advertising, and use that information to decide how to advertise in the portals that best fit your brand — irrespective of geography, language, and time zone. (! )Yureekah was started by the serial entrepreneurs behind iThink Labs and 30Seven Design. How did it get started? At 3:00 am EST, 12:30 pm IST March 5, 2007 my cell phone rings. “Hello” I squeak into the receiver. Immediately I recognize the excited voice of my business partner Vishal over 3000 miles away. “Devaraj, are you sleeping?” “Uh, I was,” I replied. “Listen, we have to figure out a way to streamline the manual processes involved with online competitive research,” Vishal said. “This minute?” I questioned, rubbing the sleep from my eyes. “Yes, we may lose a $1 mm media pitch if we don’t provide a global competitor analysis to our client by next week,” Vishal exclaimed. This was clearly a business problem, but also an opportunity that deserved attention. There was no way we could provide real time competitor analysis globally within one week. If we, as a boutique agency, were facing these issues then certainly larger agencies, direct advertisers, and small businesses owners were feeling the same pains. That’s how it all started, a simple conversation between two guys at 3 am which fundamentally altered our frame of reference, how we approached our existing businesses, and our lives. See full profile of (! )Yureekah at the PuneTech wiki for more details of target customers of (! )Yureekah, and the people behind it. BarCamp is an ad-hoc gathering born from the desire for people to share and learn in an open environment. It is an intense event with discussions, demos, and interaction from attendees. As per the BarCamp rule, there are no spectators, only participants. We only need 3 things – a place to hang out, wi-fi connection, ideas and food. Often our ideas remain ideas and we are not sure whom to discuss them with. You may have a great idea, but the real challenge lays in finding its appropriate application. Cohesive and divergent thinking is what is required to build ideas from scratch to working prototypes. In the process we need to discuss with people from different walks of life to identify how our ideas can make a difference in their lives. Can our ideas make money for anyone? This is a self-organized gathering to share ideas and see them shape by applying divergent thinking. The objective of the camp is to get people from different roles like designers, entrepreneurs, financers, creative minds, technology evangelists, product managers and marketers together to bandy ideas from everyone’s viewpoint. Ideally by end of the gathering we should have ‘proof of potential’ for our ideas. There is no restriction to what ideas you come up with except that it should make business sense and is useful to at least a group of people. You can share with the community how your idea solves an identified problem or serve any observed need. You can queue the ideas continually on this page and in case we get more ideas flooding, then the participants will decide which ones to discuss. If you have money please sponsor this event. We need more such events in Pune. Head over to the IdeaCampPune Page and yourself as a volunteer to get involved. This is a quick round-up of some interesting posts on blogs of Pune-based companies recently. InfoSignz is a Pune-based company which offers digital signage as a service. Digital signage refers to the video screens you see in malls, grocery stores, department stores, airports, train stations, elevator LOBBIES and so on. InfoSignz reports that the Georgia Aquarium – the world’s largest aquarium – has signed up for InfoSignz. InfoSignz is also looking for partners – those who can provide hardware to be sold to InfoSignz customers, and those who can create appropriate content for their customers. Druvaa, who is competing with Veritas (a.k.a. Symantec) in the backup space by providing a cheaper alternative in the form of CDP (continuous data protection) software, is blogging about the pain points with traditional backup (and obviously their software is supposed to not suffer from any of these). They also have a slide show indicating how fast their software is. Pubmatic is a company that allows website owners to automatically optimize their ads across competing ad networks and shows those ads that provide the highest payouts. Pubmatic is jubilant that it was named as one of the top 10 companies in VentureWire’s Web Ventures 2008 conference. I’m not sure how much weight to give this announcement – I noticed that the people who helped select the top 10 are the same guys who have already invested in (at least some of) the companies that actually made it to the top 10. And the list includes ChaCha which doesn’t seem to be doing all that well. Remote Data Exchange (RDX) is an interesting Pune-based company that builds a number of products based either on GPS devices, or based on idea of using SMS for achieving things remotely. 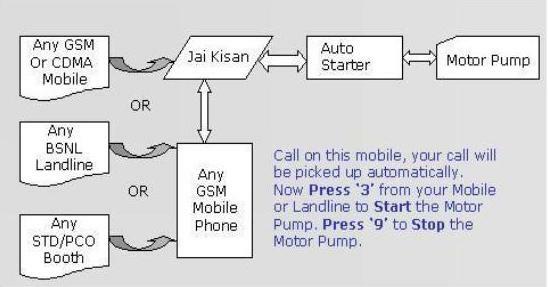 They have recently released a product called Jai Kisan which is essentially a setup that allows farmers to remotely manage their motor pump sets. Intrusion SMS message alert – if the door is opened in your absense. Then they get into “Big Brother” management techniques. The person tracking system which is a small GPS device that can be given to an employee, and will then send detailed reports about the whereabouts of the employee to the supervisor. A similar thing can also be achieved by simply giving the employee a GSM mobile phone. Apparently to be given to employees who have a tendency to lie about whether they actually visited a customer or not. See the full punetech profile for more such mini-products from RDX. Like the sms-updatable LED displays. And GPS based clocks (always exact time.) 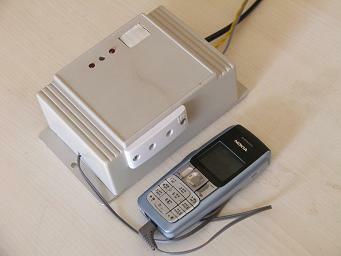 And GPS based Passenger Information System. This is installed, for example, in some AC coaches in Indian Railways and gives the passengers video clips with local information (i.e. about the station they are going to soon reach) based on where the train currently is. to ensure that the games functions such as collisions, players attributes, menus, events, button functions, scoring /statistics, are according to the game design. to ensure that the game functions consistently, without any conflicts with other standards software, across all typical PC configurations on the market. to ensure if games are designed to be played across the Internet or local network. These tests ensure games provide a smooth multiplayer gaming experience for end-users. to test a computer game capable of supporting thousands of players simultaneously, and which is played on the internet online. to ensure that local language version of games perform consistently with the original versions. to ensure if the games are designed as per pre-defined standards, rules or a technical requirement document such as TCR/TRC, Lot Check, etc. to give a professional and independent evaluation of the game play quality, such as realism of animation and fight damage, balance of the game, exploits etc. Reconnex is a provider of Data Loss Prevention (DLP) appliances that are designed for organizations that want to secure sensitive information, protect their brands and maintain compliance. Reconnex not only delivers protection against known data-loss threats, but also provides a solution that automatically learns of and defends against new threats as they evolve. The company is headquartered in Mountain View, CA with its R&D center in the heart of Pune City (Model Colony). Reconnex has a high-performance, high-accuracy, appliance-based data loss prevention system that enables an organization to protect all information assets on its network without requiring up-front knowledge of what needs to be protected, and regardless of how that information is stored, secured, or communicated. As a result, IT can protect against both known and emerging threats. Data-in-Use – Deployed as an agent on the user desktop or laptop, Reconnex can provide information protection whether the user is on the network or off the network through virtually any I/O channel that presents an information security risk. Pune-based startup AirTight networks, which provides wireless security products, has announced that it is making wireless security available as an online service. The customer has to buy some wireless sensors (little plug-n-play hardware accessories) and attach them to appropriate machines in their company, respond to a few questions about their wireless setup and that’s it. Within a few days they begin to receive wireless security reports. There are no servers or software to buy, configure, or administer – because all the data analysis and report generation is hosted on AirTight’s servers over the internet. The major benefits of this are ease of installation, ease of use, and most importantly the investment needed can be ramped up gradually. The simplest system costs just $2 per day as opposed to the upfront $20000 capital investment that would be required otherwise. In addition there is a free 30-day trial. This makes it easy for enterprises that are interested in wireless security but are worried about paying too much for something that they are unsure about. The services provided are vulnerability assessment (“There are hackers outside your office on the North side!”), vulnerability remediation (“And I’ve blocked their wireless signals! Yippie!”), and regulatory compliance (“And here is a report you can show SOX auditors to prove that you’ll done all that’s humanly possible to protect customer data”). Each of these three is a separate offering that is priced independently. this was a smack-myself-in-the-forehead moment – why not provision IDS/IPS as a service, effectively leasing the infrastructure and offering the rest as a managed service? This is positively brilliant, and AirTight Networks has now done precisely this with their new SpectraGuard Online service, launched today. I’ve seen a number of security-as-a-service offerings for small wireless LANs, but this is the first time I’ve seen such a service for large organizations. And I’m willing to bet this business model could become very popular indeed. As WLAN technology continues to change rapidly, and as one is never, ever “done” when it comes to security, AirTight has broken some important new ground here. The question, of course, is how this model might extend to other elements of network infrastructure. And it just might. See the full press release for more details of this news. See PuneTech wiki’s AirTight page for a quick overview of AirTight.